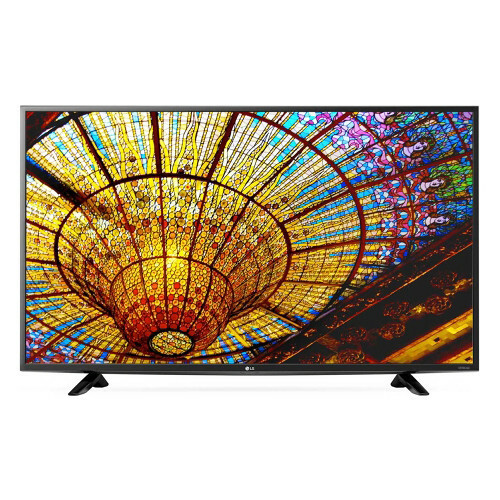 The LG UF6400 43" Class 4K Smart IPS TV offers 4K video upscaling and streaming Internet content. This model's 3840 x 2160 native resolution allows you to enjoy vivid and life-like image quality. This TV is endowed with a 43"-class LED display and incorporates TruMotion 120 Hz technology to combat distortion on fast-moving images. As a smart TV, this model has Ethernet and Wi-Fi connectivity, which allows you to browse LG's webOS 2.0 user interface. The built-in web browser allows you to view your favorite websites directly on the TV's large display. Integrated LG Screen Share and Content Share allow you to wirelessly connect to compatible devices such as smartphones and tablets. For connecting multiple high-definition sources, this TV is equipped with a USB and 2 HDMI inputs. It has also has a component video input that doubles as a standard composite video interface for connecting lower resolution sources. 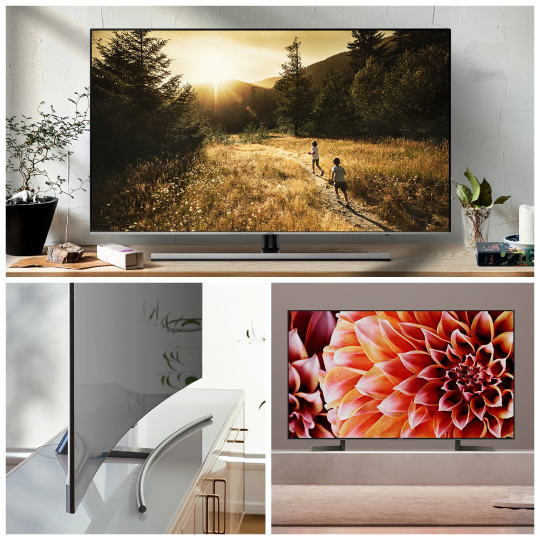 Additionally, this TV has two built-in speakers for a combined 20W of audio power, and a digital optical interface for connecting to external audio systems. LG's Tru-4K HD video processing engine upscales lower resolution video sources through a multi-step data analysis that enhances the details of broadcasts, movies, sports, and videogames to near-4K quality. IPS 4K delivers true colors that remain more consistent at wide viewing angles, with four times the resolution of Full HD. Box Dimensions (LxWxH) 42.5 x 35.0 x 6.0"
UF6400 43"Class 4K Smart IPS TV is rated 4.6 out of 5 by 8. Rated 5 out of 5 by Bob W. from Very wonderful TV We use the TV for sports and news. Very clear picture, easy to use controls. The delivery process from B&H was clean, even 3000 miles away to California. Rated 3 out of 5 by Kenny from amazing color, everything else is not impressive at all This TV has wonderful colors and acceptable sound. Mine had a thin darker edge and corners, but I am not going to return it. I probably got one of those not perfect units. Although the sound is far from excellent, it is well balanced and actually very comfortable to ears. Web OS works fine. The finishing feels cheap. With this TV, you will probably get colors of $2K TV's, but everything else seems to be right in line with its price. Rated 4 out of 5 by AV Engineer from Excellent TV Bought a couple for upper management offices. Price was great for a WiFi SMART TV. Was pretty simple to set-up. Only awkward thing was when putting on the fully articulating Sanus wall mounts, I had to use the spacers (that came with the mounts) in a slightly awkward way, but all worked out. LG has been my Go To brand for years, and they have yet to let me down. Rated 5 out of 5 by mcdrew from What 43in for $? You to be kidding me... Best money spent on monitor for my home computer and a 4k TV to book. Works well with my dell E7240 laptop. Over the XMAS holidays I bought my wife the 49in for her ASUS Zenbook and she loves it. and That was for $. These LG TVs make great monitors. You can't beat them for the price. now photo editing and watching youtube video is more enjoyable. Rated 5 out of 5 by CHARLES B. from Awesome!!!! Tv was relatively easy to set-up. I didn't like the factory presets, so making adjustments for my personal color preferences was easy. Great color. Good sound. Just the right size for our viewing. For the price, I'm thrilled. Rated 5 out of 5 by Fred-IT Guy from Great TV Bought this TV for a TV Cart in a classroom. It is very bright and a great TV for what we paid. 4K was cheaper the 1080. Yeah! This is not a measurement or specification available from the manufacturer. no luck! nothing i try works. this is a UF6400 the menu button says live menu, nothing says stretch or wide format! does say zoom, but doesn't do it. still have black bars on the side. going to take it back!!!!??????????? According to LG these settings are available from th Q.MENU or the PICTURE menu.? ?To adjust the screen format. (Main picture format)You can also adjust the screen format using theAspect Ratio in the Q.MENU. or PICTURE menu. how do you get the screen to go full size without the black strips on each side? Go to the MENU and select the STRETCH or WIDE format or Zoom feature. What is the finish of the screen? Glossy? Matt? semi-glossy? Is there an effective anti-glare coating?Also, how is the image holding up when watching from side angles rather than right in front? This television offers a screen with a matte finish. It is fairly effective against glare and reflections found under typical indoor, household conditions. The image holds up pretty well with moderate off-center viewing angles. Does it self adjust to 720 or 1080? The internal scaler will scale both to the native resolution. Is it a real 4k? It is 4K resolution but only half can produce full color, another half can show luminance.This is because its panel is using RGBW pixels, the first three RGB is 1 resolution pixel and the last W is another 1 resolution pixel. 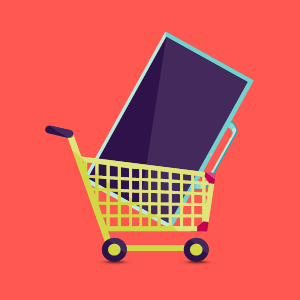 do you need a roku box? What is a roku. box? How can I connect this TV to my VCR/DVD player? This TV accepts RCA video cable (one yellow or tri-colored) with stereo audio RCA.